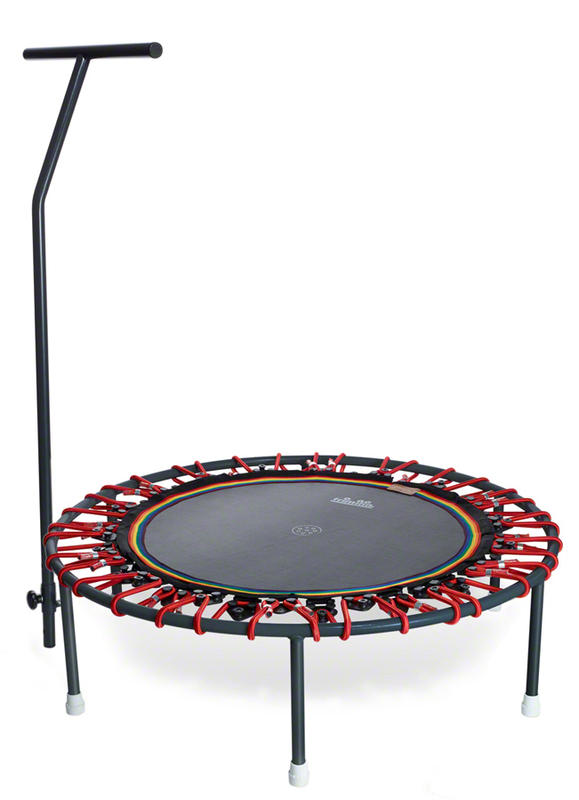 Trimilin mini trampolines are prized by therapists and professional sportspeople due to their high-quality workmanship and longevity. Regular quality controls guarantee consistent high quality. The amazing jumping feeling of the Trimlin models results from the perfect balance between the jumping mat and the suspension. With the innovative VARIO technology you can set the tension of the jumping mat higher or lower, in accordance with use and body weight. 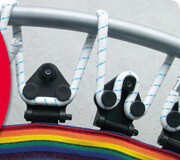 Trimilin-jump with folding legs is easy to set-up and dismantle, compactly stored, or stacked. Available with or without handrail.